The Partners in Flight (PIF) 2016 Landbird Conservation Plan Revision comes at an important time in conserving our heritage of an abundant and diverse avifauna. There is now an urgent need to bridge the gap between bird conservation planning and implementation. Birds and their habitats face unprecedented threats from climate change, poorly planned urban growth, unsustainable agriculture and forestry, and a widespread decline in habitat quantity and quality. The spectacle of bird migration is being diminished by direct mortality as every year millions of birds die from anthropogenic sources. As documented in this Plan, nearly 20% of U.S. and Canadian landbird species are on a path towards endangerment and extinction in the absence of conservation action. We know, however, that when we use the best science to develop conservation plans—and implement them—we can make a difference. Our diverse partners have achieved major milestones for bird conservation, including creation of “wall-to-wall” Joint Ventures with implementation plans all across the U.S. and southern Canada, Wildlife Action Plans in all 50 U.S. states, Bird Conservation Region strategies for all of Canada, and the Neotropical Migratory Bird Conservation Act – a valuable tool for funding landbird conservation. 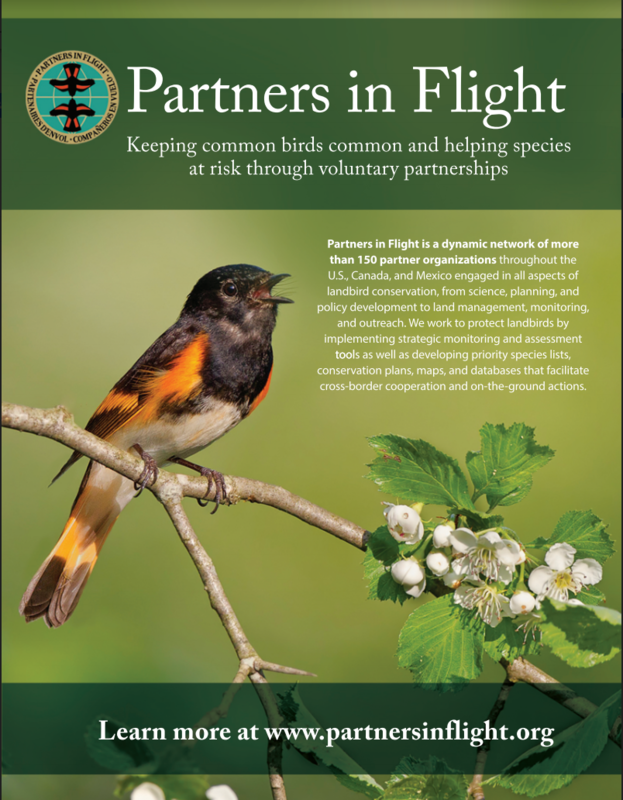 Since its inception in 1990, PIF has remained focused on its mission to keep common birds common and help species at risk through voluntary partnerships. But to expand our successes and achieve this end, these partnerships need renewed investment for implementation. Our conservation vision and successes draw upon the passion of millions of people who enjoy watching and studying wild birds, and who contribute a wealth of data about North American landbirds. The first part of this 2016 Plan Revision relies heavily on information provided by these citizen scientists to present an improved vulnerability assessment for nearly 450 species, which enables us to assign extinction risk and stewardship responsibility at different geographic scales. These new indicators provide a path towards stronger and more strategic conservation planning and action locally. The outstanding work of Joint Ventures and other partners, as presented in the second part of this document, is a testament to how conservation science and planning guides success on the ground. These partnerships are thus an essential bridge in the gap between conservation planning and implementation. Our message is one of urgency. The 2016 Plan Revision provides serious recommendations for conservation delivery that can and must be addressed now to prevent the loss of our most vulnerable landbirds and prevent continued declines in many of our most common species. Many of these recommendations target actions across the full life-cycle of birds—ranging from nesting habitats in high latitudes to migration routes throughout the hemisphere to tropical overwintering habitats south of our borders. one that flows throughout our hemisphere linking nations and continents; it’s imperative that it not be diminished any further. 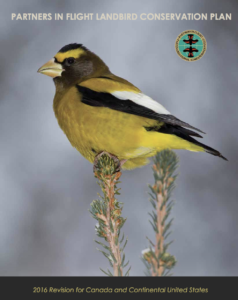 The 2016 Plan Revision provides the information that we and our partners need to strategically integrate the range-wide habitat requirements of landbird populations with other demands being placed upon the landscape. Only by investing in strong, diverse partnerships—to address the full life-cycle needs of birds—can we effectively bridge the landbird conservation community’s implementation gap. 2016 Plan: What is New Since 2004? Species assessment scores updated with improved access to the associated PIF database.